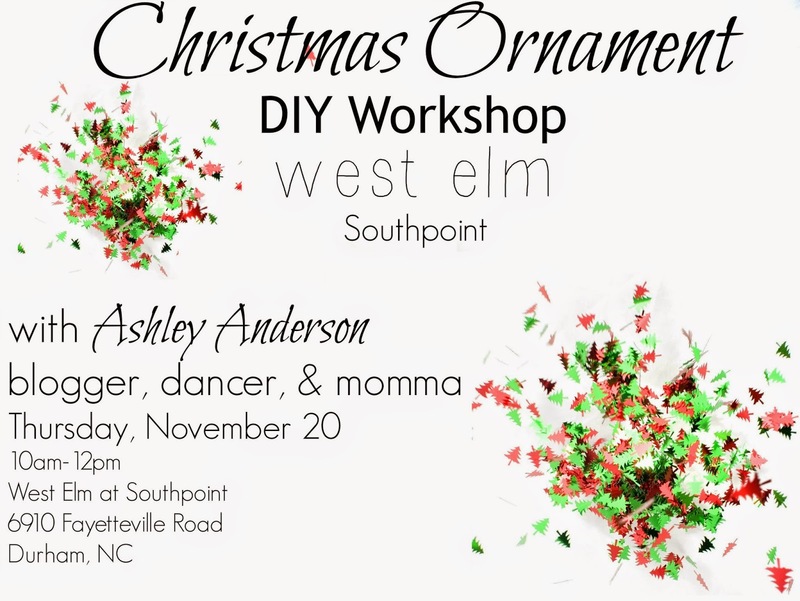 Dancing With Ashley: Join me for a Christmas ornament workshop! I am so excited to be hosting a free DIY Christmas ornament workshop this Thursday, November 20 at West Elm Southpoint. Bring your kids of all ages to make an ornament! The children will be able to take one home with them to enjoy, and leave one at the store. The ornament they leave at the store will be used as a thank you gift to all customers who donate $10 to the St. Jude's Children's Research Hospital. Come any time between 10am and 12pm. I hope to see you there!